Vacation rental condominium. Sleeps 10, 3 bedrooms, 2 bathrooms. Dogs allowed. 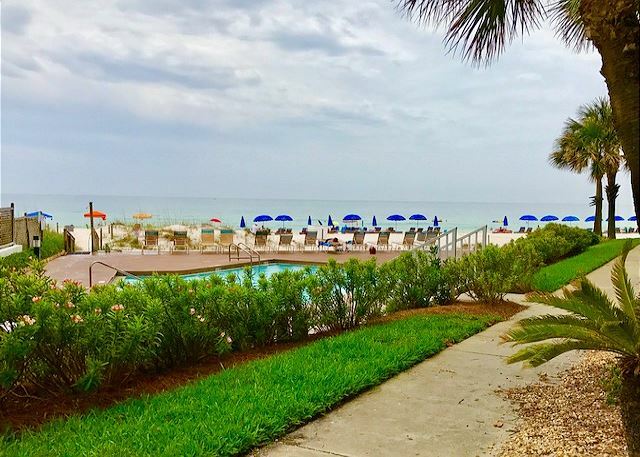 Unit 101 is conveniently located on the a GROUND FLOOR with a poolside patio...just steps from Pelican Walk's East pool, sugar white sand, and the Gulf of Mexico! This beautiful PET FRIENDLY 3 Bedroom, 2 Bath 1550 sq ft condo is newly renovated with granite counters, custom cabinets, and custom tile bathrooms. Perfect accommodations for a large family or even multiple families sleeping up to 8 people! The updated master bedroom has a king size bed and it's own private patio, a full sized master bathroom with custom over-sized, tub/shower, double vanities and a walk-in closet. The 2nd bedroom offers a plush new king size bed and the 3rd bedroom has 2 queen size pillow-top beds with an adjoining bath and walk in closet. 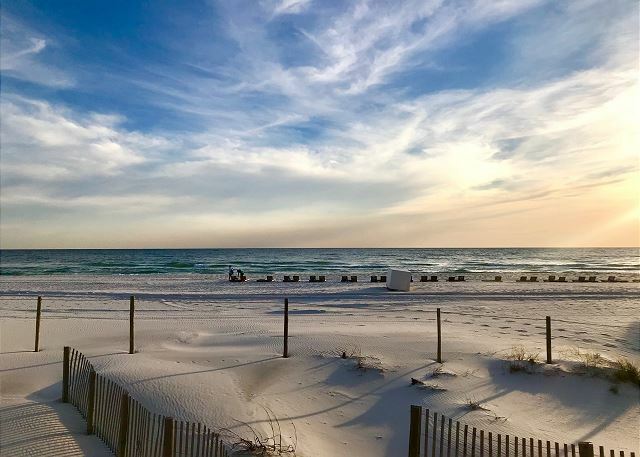 Pelican Walk is close to all that PCB has to offer...restaurants, ice cream, shopping, arcades, amusements park, mini golf, pontoon and jet ski rentals, deep sea fishing charters, golf and so much more! All with in a 2 mile radius. 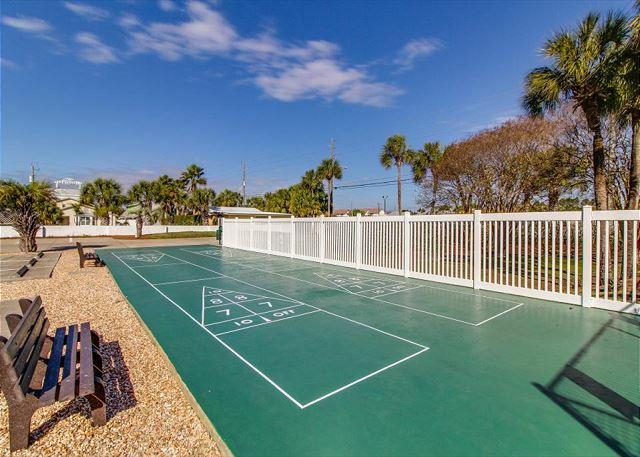 Guests staying at Pelican Walk have access to numerous amenities: private beach access, two (2) swimming pools, hot tub, sauna, tennis courts, racquetball, shuffleboard, pool table, grill areas, and more! Unique to Pelican Walk is the dedicated staff located on-site that are more than happy to assist you and your family in having a fun, relaxing, memorable beach vacation! Pelican Walk is one of the few PET FRIENDLY properties in Panama City Beach! The Pelican Walk Owner Association Pet Policy allows up to TWO (2) dogs per condo and each dog must weigh 20 lbs or under. All dogs must be registered upon arrival and each will be issued a Pelican Walk Leash Sleeve. *Pet fee is $150/pet per stay charged by the Pelican Walk Owners Association. Pet fee is non-refundable. PERFECT!...ground floor is the elevator traffic at all! !right in front of pool on left side,..straight walkway too beach!....didn't like climbing in tub too shower,..very difficult, not for older person with leg problems,take that out, it will be perfect CONDO, ..BUT I will stay AGAIN!!! We have stayed at Pelican Walk for several years and have enjoyed every visit.. Very enjoyable. Unit was clean and well located. Exterior was clean except a very small area of the flower bed out our back door, hidden from view. Overall very good. Stayed in 101 from May 28/June 5. It was excellent, very clean , plenty of space, great view, and extremely easy access to the pool, beach, and parking. That always have plenty of room for parking my boat and also have a place to wash it down daily. Very short distance to the state park which is where we launch from. Stayed here several years now and will be back next June.